The fishing town of Kalkan is in the heart of Turkey's picturesque Lycian Coast. Centred around a small harbour, the town's winding streets and alleyways burst with restaurants and bars, which sit along-side whitewashed houses clad with bougainvillea. Many of Kalkan's restaurants have roof top views out to sea, perfect for watching the sun go down. Live music and relaxed bars take the place of the night clubs and discos that can be found in other resorts. During the day, Kalkan is the perfect base to visit the numerous offerings of the Lycian Coast. For those after a quiet holiday, lazy days can be spent bobbing about in a boat or relaxing at Patara beach, voted one of the best beaches in the world by The Times in 2005. For the more adventurous, a multitude of activities are on offer, from rafting at Saklikent George, to sea kayaking at Kekova, or visiting the many sites of ancient Lycia. These include the UNESCO world heritage site of Xanthos, just 15 minutes drive away; the sunken city of Kekova, the important cities of Patara and Letoon, and the rock tombs of Myra to name a few. 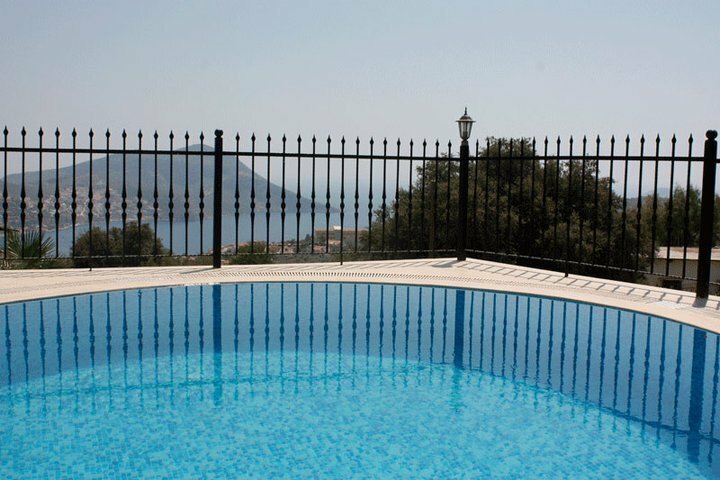 Whatever you want out of your holiday, Kalkan is sure to offer it.